Where can we turn to find truth in today’s fake-news world? 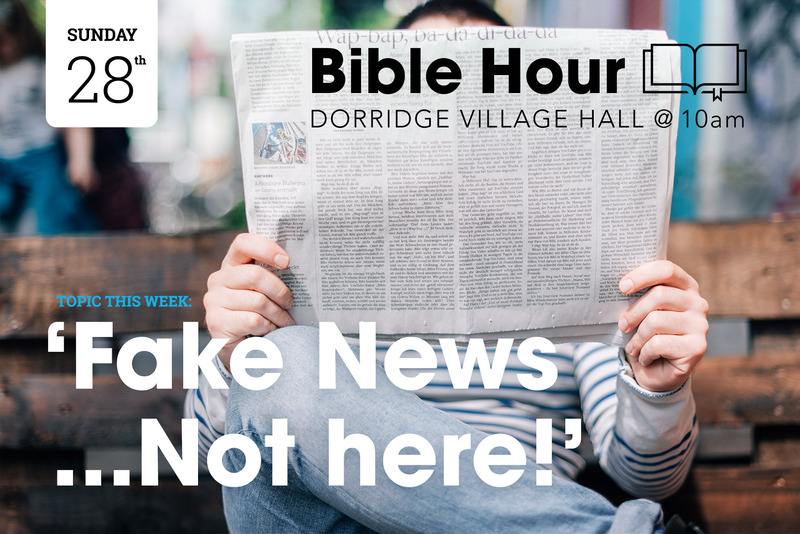 Find out at Bible Hour this Sunday – 10am at Dorridge Village Hall. We meet at Dorridge Village Hall - Click on the link for a map! God's answer for a desperate world. A huge thank you to everyone who brought donations for our first charity clothes appeal. You exceeded our expectations. We have donated the clothing and bedding to a variety of charities including a Homeless Shelter, Help for Refugees and St Chads Sanctuary, who all very gratefully received the items. We are planning a similar collection next year, God Willing, so please start collecting further items!